5X More Effective Than Using Water Alone. Water has high surface tension. Hercules™ CAFS, in contrast, offers a low surface tension, allowing it to spread quickly, cover more area, and cling to the fuel source longer, giving the foam agent the ability to penetrate and cool material faster than water alone. For a quicker and safer knockdown, with less exposure to heat for firefighters, consider Pierce Hercules CAFS. 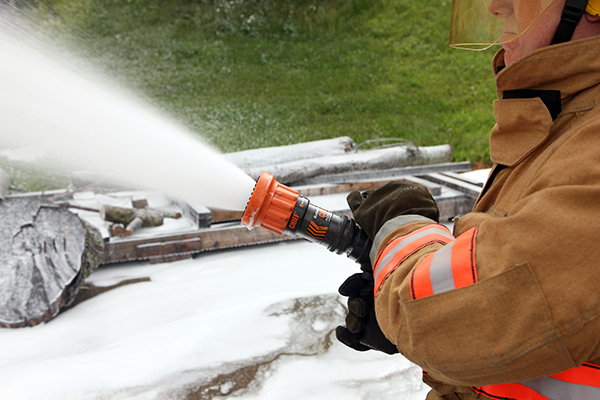 Hercules adds compressed air to your Husky™ foam system and provides better control of the foam bubble structures, allowing firefighters to gain control of fires faster, reduce water usage, and lighten handlines while offering better exposure protection. Our Hercules CAFS system perfectly complements any of our Husky foam systems. Concerned about space? All the controls easily fit on any pump panel for easy and organized operation. Easy to use. Turn on the compressor, select a line with CAFS, adjust your discharge to “wet, medium, or dry,” & you’re good to go. Dependable exposure protection. 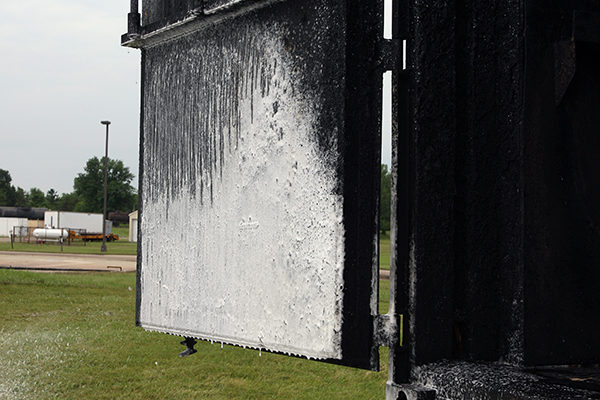 Hercules CAFS systems provide an excellent, durable exposure protection when sprayed on fire adjacent structures, forming an insulated, heat reflective foam blanket. Powerful CAFS compressor. With a capacity performance spec of up to 200 cfm, you’ll have more than enough air to handle your fire suppression needs. With the extra air capacity from your CAFS compressor, you can use the provided auxiliary air outlet to run air tools while on scene. Hercules Easy CAFS™ Electronic Valve Controller. Options offer easy to select presets for “wet, medium, & dry” CAFS consistency. Hercules In-Line CAFS Mixers allow you to achieve optimal CAFS consistencies with shorter hose lengths. Available for 2.0" & 2.5" outlets. Offered in 30, 60, & 70-gallon options. This pumpless, breathing air powered system can generate a maximum of 1,400 gallons of usable firefighting product at a moment’s notice. The best part? The modular design of the Hercules Self-Contained system provides an array of flexible mounting options.